Need another reason to celebrate Thanksgiving? 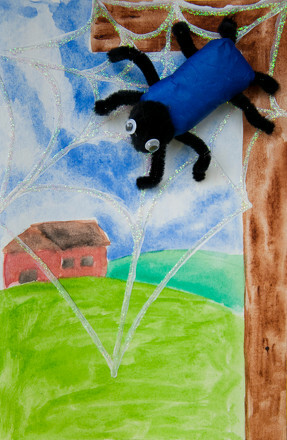 Now kids can create a sunny, textured card to remember the day! 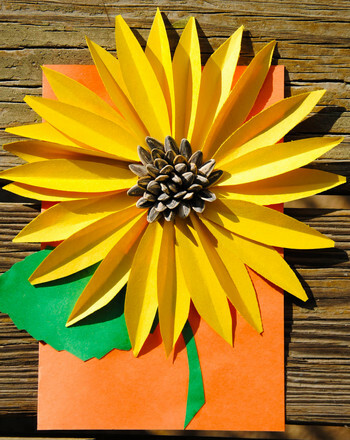 Folded and layered construction paper and multiple sunflower seeds make this an eye-catching card that’s fun to touch, and introduce kids to the possibilities of paper crafts. Have your child fold the orange construction paper in half to form a card. 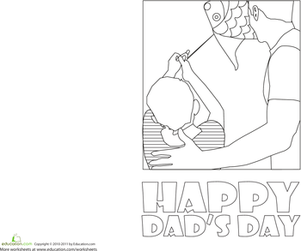 Now draw a large leaf on the green construction paper and cut it out. Glue the green leaf on the bottom half of the orange paper. Draw a large flower petal on the yellow paper, about three inches long, and one inch wide in the widest area, and cut it out. Use the first petal to trace multiple petals on the yellow paper, and cut them out. Create at least 25 petals. Fold the petals in half lengthwise to create a three-dimensional effect. Have your child glue the petals down one at a time, running white glue down the fold line. Place them in a circle, forming the flower head. 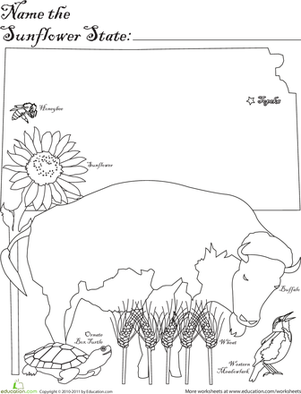 Make sure to leave a large space in the centre for the sunflower seeds. Let the petals overlap to create loads of texture. The more irregularities, the more realistic your flower will look. Allow the glue to dry. Dip the wide end of a sunflower seed into white glue and place it in the centre of the flower. Have your child repeat this as many times as possible, until the centre if filled with seeds. Allow the glue to dry completely before moving the card. 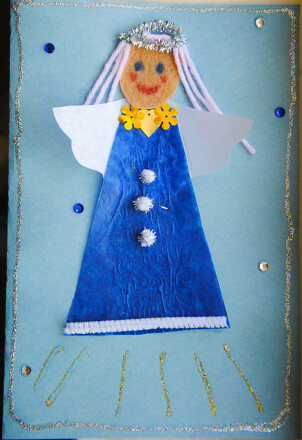 Your child can now add a message inside the card and share your gratitude with someone you love! This Halloween card is fit for the scary sorcerer in your life. 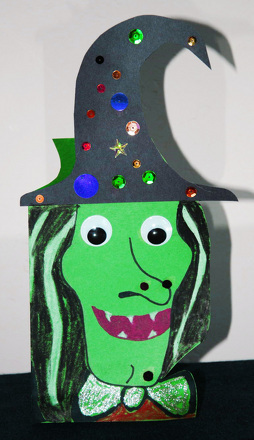 Make this witch Halloween card for a magical friend or family member this October. This cute lion card will make everyone smile this Valentine's Day. Just print and fold into quarters. 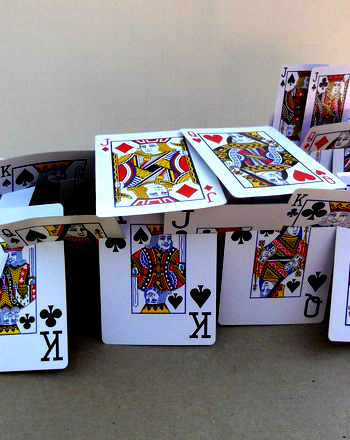 Construct a card castle fit for a king! Treat your royal "face" cards (the kings, queens, and jacks) to the cool castle they deserve. Colour a Christmas Tree Card! 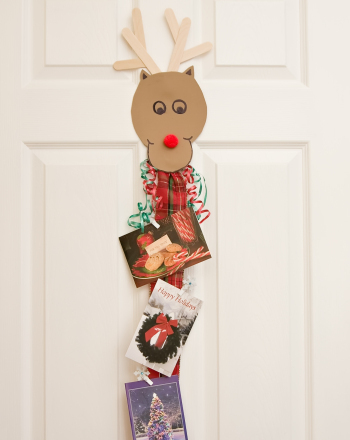 With colored pencils and card stock paper it's an easy homemade Christmas card to make. White, this card brings the spunky spider Charlotte to life!